C/ Corb Marí, 22, 07014 Palma de Mallorca, Spanje. 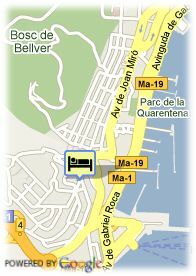 Augusta Apartments are in a residential area, next to port of Palma and only 5 minutes from the city centre. The 49 studios and 10 apartments are fully equipped with the latest mod cons and include all facilities. 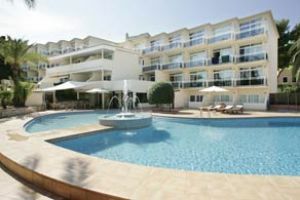 All have a full bathroom suite, air conditioning and a large balcony area. Buffet style breakfast. Cafeteria and outdoor swimming pool with terrace. It is the ideal place to spend your holidays with your family, and if you want to, where you can hold business meetings and use our conference room. The conference room is fully equipped and we always flexible and able to adapt to your needs without forgetting to provide a personalized service. Notice: The hotel clients have to ask the hairdryer at the reception.